Making hard boiled eggs (or soft boiled eggs) in the Instant Pot is so fast, they peel easily, and they come out perfectly every time! Okay, I know this may not qualify as a recipe exactly….how to make hard boiled eggs….not really a recipe, just a process. But still, I feel like this how to make hard boiled eggs (and how to make soft boiled eggs) in the Instant Pot “recipe” needs to be a posted here – because I have never been one to make boiled eggs all that often. I could never remember how long to boil them for, or if I should boil the water and then simmer the eggs, and what’s the difference in boiling time for soft boiled eggs, and also, I would just forget about that pot of boiling eggs sometimes because, well, that’s what I do. And I’m sure I’m not the only one. Also, who else hates those hard boiled eggs that you can’t peel without losing half the egg? These Instant Pot hard boiled eggs even peel easily. I think that getting an Instant Pot may have been worth it just for the hard boiled eggs. My kids love them (so do the adults here for that matter) and it’s lovely having hard boiled eggs ready to eat in the fridge literally all the time now. I would never bother with it before because it seemed like too much hassle, but now I can’t stop making them. Which is probably a good thing since they are disappearing as fast as I can make them. It’s just too easy. Even with the time it takes the pot to come to pressure, it’s only about 15 minutes for the eggs to be ready. Time to make a coffee and a piece of toast while they cook and that’s about it. 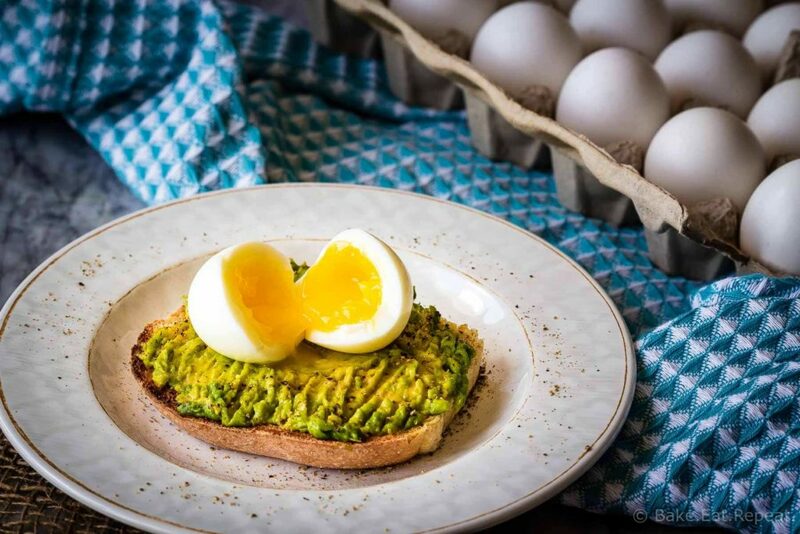 So if you have an Instant Pot and haven’t started making boiled eggs in it yet, what are you waiting for? So easy, and they’re perfect every time. For soft boiled eggs – one minute of cook time will give you a completely runny yolk, but I usually let the pressure naturally release for a minute before quick releasing the rest, or let the egg sit in it’s shell for a couple minutes after taking it from the Instant Pot as cracking it immediately after one minute of cook time sometimes results in a bit of the white being underdone. Two minutes of cook time will cook the white completely but you usually end up with a bit of the yolk being hard cooked along the edges as well so it depends what your preference is. Add water to the pot of your Instant Pot until there is about an inch of water covering the bottom of the pot, about 1-2 cups. Place the wire trivet in the bottom of the pot. Put as many raw eggs as you would like to cook on the trivet - you should be able to fit 8-9 on it easily. Add the lid of the pot and turn it to the locked position. Make sure the valve is in the sealing position. Cook on high pressure for 4 minutes for hard boiled eggs. The pot will take 10-15 minutes to come to pressure before starting to count down the 4 minutes. When the cook time is finished, quick release the pressure. Immediately transfer the eggs to a bowl of ice water and let them cool completely (about 10-15 minutes). Peel and store them in the fridge in an airtight container for up to one week. For soft boiled eggs, cook on high pressure for 1-2 minutes (see notes for the differences in the eggs at each time), quick release the pressure, and serve. 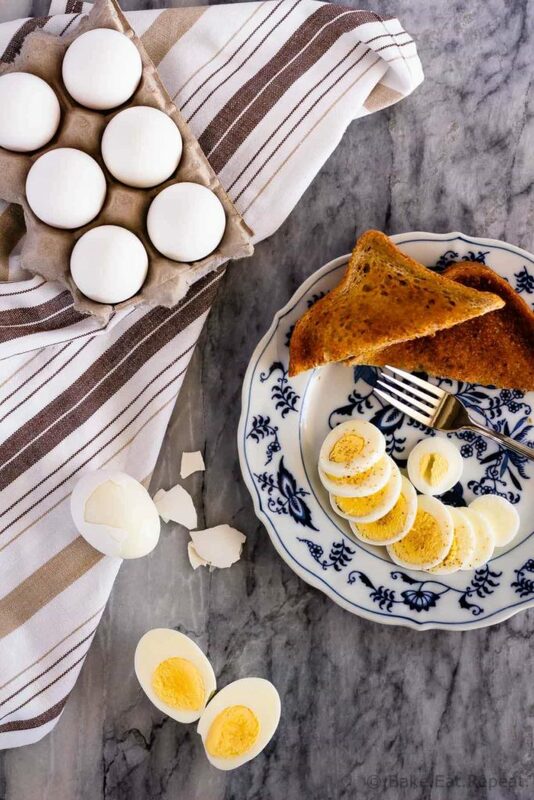 These hard boiled eggs peel the best if you peel them after they cool down, but before refrigerating. You can definitely store them in the fridge unpeeled until you’re ready to eat them, but they don’t peel quite as easily - still pretty good, but they stick a bit more. 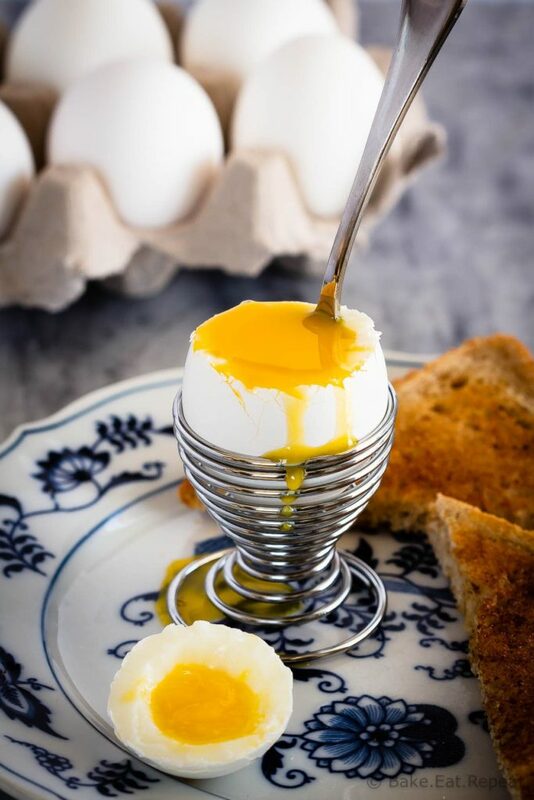 For soft boiled eggs, cook them for 1-2 minutes, depending on how you like your eggs. At 1 minute, the yolk will be completely runny and they are perfectly soft boiled, but I find that I like to let them sit for a minute or two in the shell (or let the pressure naturally release for 1 minute before quick releasing the rest) before cracking it open and eating it as sometimes a bit of the white will be underdone too if you crack it open right away. At 2 minutes, most of the yolk will be runny, but you will end up with a bit of it along the edges being hard cooked.